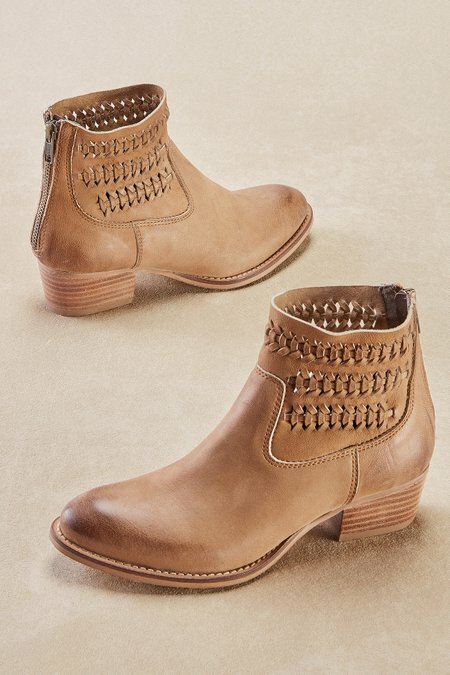 The smooth vamp and woven-detail upper present interesting textural contrast in these versatile leather booties. They're pre-distressed and detailed with a back-access zipper, cool fabric lining, stack heel and rubber sole. 1-3/4" heel.